In the old days we simply shrugged our shoulders if a few ounces of premix dripped overboard and made an ever widening rainbow slick on the water. But today carelessness at the fuel dock can cost you a USCG citation and big fine. Even worse, we now know that a sheen of fuel evaporates into the atmosphere polluting the air we and our children breathe. Because of legal and environmental liability some timid boaters make sure the fuel dock handles the operation. 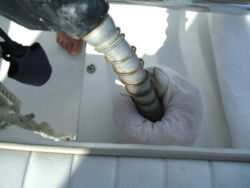 But for those of us who prefer hands-on boating here follow a couple of steps for clean as a whistle refueling. 1. Never trust an electric fuel gauge. Senders are notoriously inaccurate, falsely claiming a tank is quarter full when it's really half full. You could end up overfilling, with a gush of fuel spilling overboard. So be patient, be attentive even when the boat needs a hundred gallons just to top off. 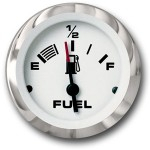 The best way to keep track of fuel tank capacity is to rely on an electronic fuel management system. Not only do these gizmos compute mileage and optimal engine rpm, they also keep track of how much gas has flowed out of the tank. For good housekeeping, wrap a collar around the deck fill before poking the nozzle in the hole. Then should a small amount of gasoline escape the special hi-tech fabric will absorb it. I store them on board in a plastic baggy right next to the funnel we'll be talking about later on in this story. 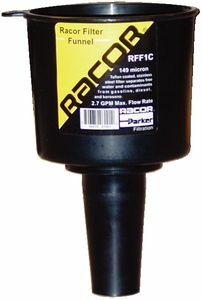 fuel air separators prevent air bubbles from spilling gasoline. 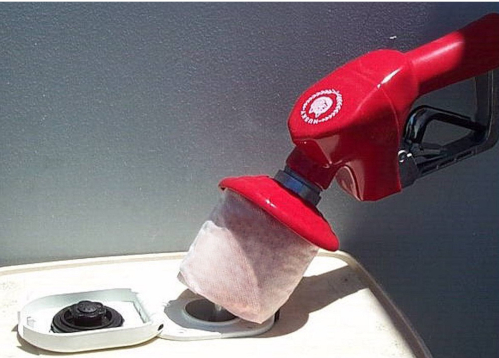 Should air bubbles percolate up out of the tank the unit will capture any burbling gasoline in a bottle. Some models don't capture the fuel, per se, but instead flow it into an expansion chamber that drains back into the tank. 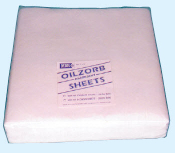 Sop up gasoline spills with oilzorb sheets. 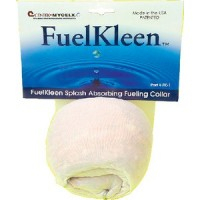 Use the kind of oil absorbent sheets intended for keeping oil changes squeaky clean. That way, should a few drops spill on the gel coat, it's an easy matter to absorb the fuel droplets before they cascade down the topsides and into the water. I also use these sheets with the pump nozzle, wiping its nose so to speak, in order to keep droplets from spilling onto my boat or onto the pavement. These sheets absorb 15-20 times their weight in oil related products, not water and float even when saturated. Just like the previously mentioned fuel collar, I keep one in a double-wrapped plastic baggy so the sheet can be used over and over again without smelling up the boat. Obviously, if the sheet is sopping wet with fuel its better to disposing of it outright. Use a boat specific funnel with a long constant diameter snout that fits the deck fill like a glove. I prefer one fitted with a series of progressively tighter weave mesh screens that keep gravel and other larger particulate matter out of the fuel supply. 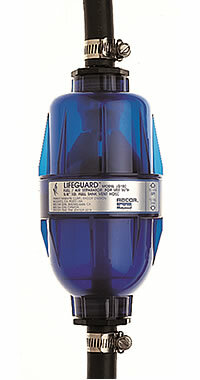 Some models incorporate a water separator, keeping gas dry. Funnels come in different sizes, the bigger the funnel the faster it flows fuel. Even a cheap funnel with a simple mesh screen is better than nothing.